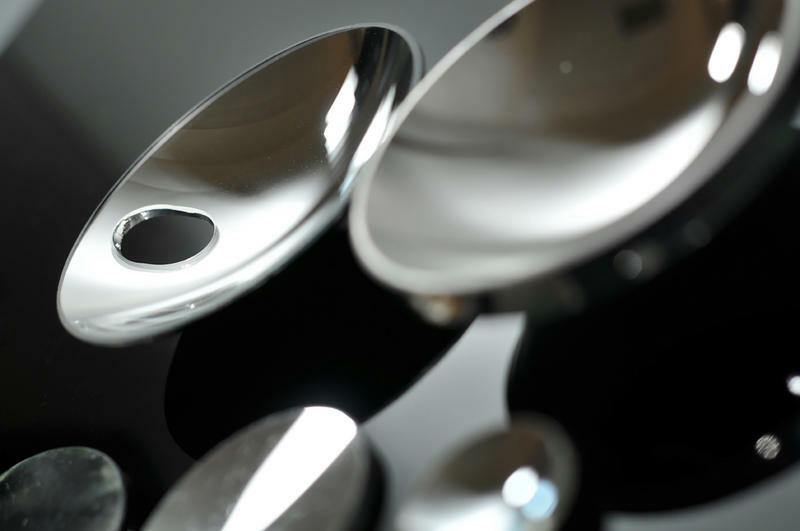 Tecnottica is able to provide its customers common mirrors with reflection coming from the first surface with different reflectivity values (84%, 94%, 97%). These reflectivity values are calculated at the maximum of the reflection curve, usually centered around 550 nm, i.e. the center of the visible spectrum. However, the customer can define, for its specific applications, which is the desired wavelength that should be placed at the middle of the reflection curve. Optical mirrors, however, are used in rear projection systems, and where you usually want to avoid the phenomenon of the so-called double reflection introduced by common mirrors. In the latter case, an incident beam of light does not hit immediately the coated optical surface (aluminum + protection quartz), but passes through the thickness of glass that constitutes the mirror, causing a second image that is often undesirable. Tecnottica manufactures flat mirrors and works them in various thicknesses from 1 mm to 6 mm, up to the maximum size of 1200 mm x 1800 mm. These dimensions are valid for both optical and common mirrors. 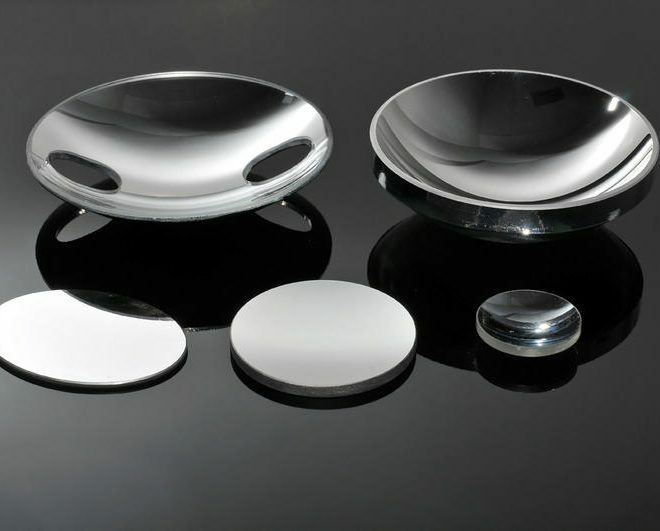 There are also available several categories of optical spherical mirrors, concave and convex. Both can be used for example in catadioptric systems, i.e. systems consisting only of optical mirrors, or in hybrid systems, i.e. optical systems consisting of both lenses and mirrors; in this latter case one or more optical mirrors work in combination with other glass elements in order to deviate and simultaneously diverge or focus a beam of light. 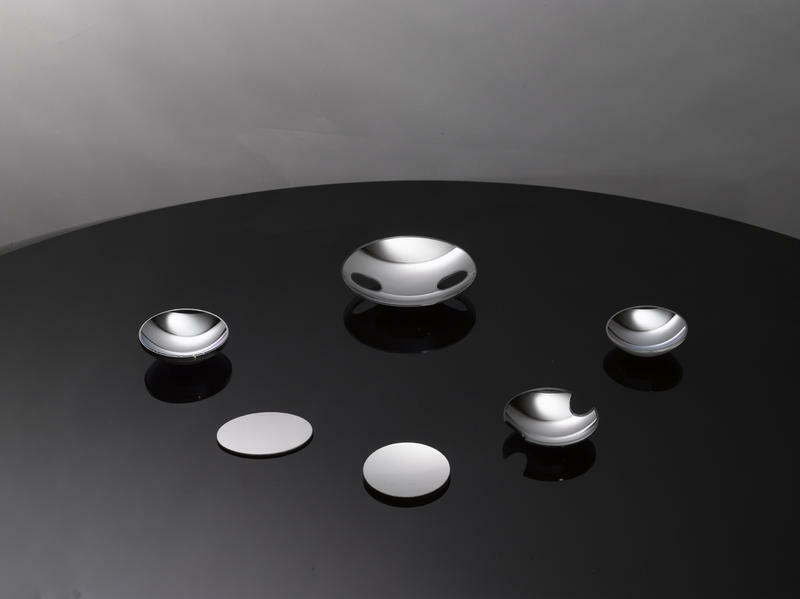 Spherical mirrors are also in this case built as common mirrors or as optical mirrors, through a metal coating on the front surface. 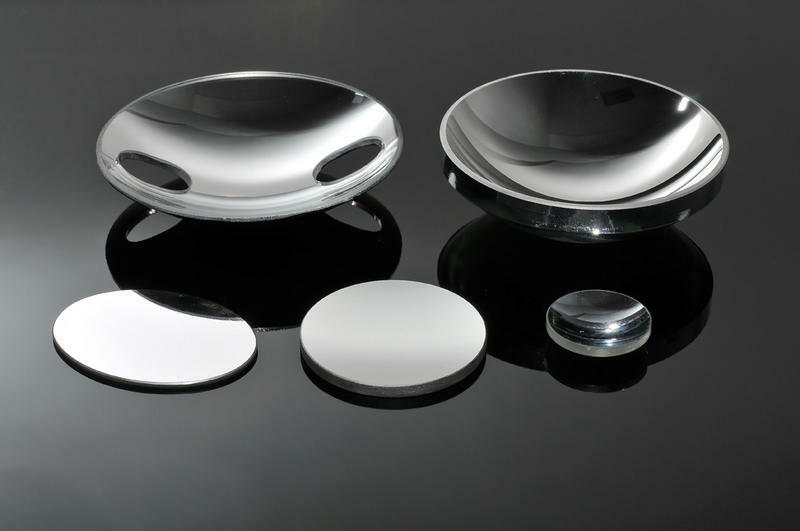 Specifically, concave mirrors have greater application in the lighting industry as the main components of lighting optical systems, and when used in combination with appropriate condenser lenses and lamps are also an essential part of projection systems. 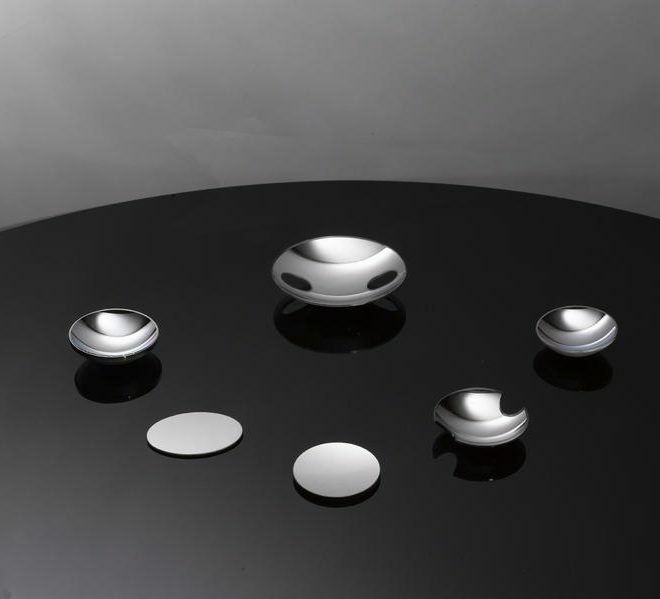 We currently have different standard sizes for most common applications, through which we realize spherical mirrors usually consist of a glass substrate, treated successively with a metal layer of aluminum protected with quartz. In agreement with our customer’s needs is possible to use different materials and coatings, such as borosilicate glasses or tempered glasses with dichroic layers depositions. 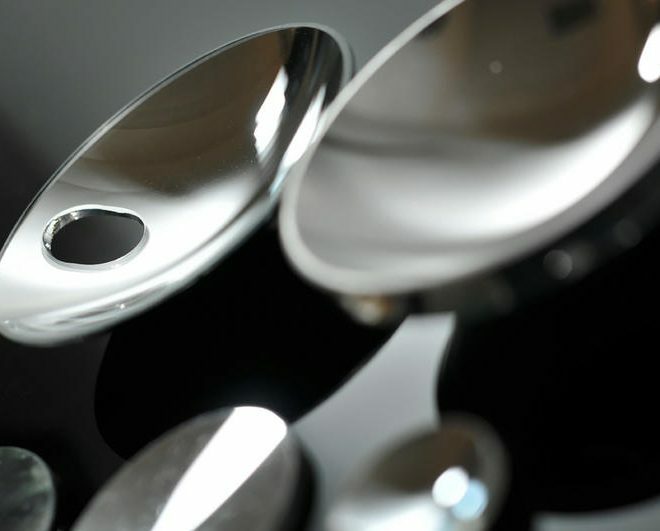 In the latter case the coating is useful for the removal of the infrared component (generated by heat) that inevitably accompanies the visible radiation, which is normally reflected from normal metal mirrors.